Welcome to Nikodemos, of the Sacred Band. Name (s): I am Stealth called Nikodemos; Niko to my friends. Age: How do you mean? I have spent five years in the City at the Edge of Time, where time doesn’t pass, and lived now and again on Lemuria, where the Band is based, and where mortals do not age. When I joined Tempus’ Sacred Band with my first partner, I claimed twenty-five years, not quite true, but I’d already been a right-side partner for nine years. I have served sixteen years with the Stepsons. So, thirty-seven, perhaps, as mortals count time. Please tell us a little about yourself. First I should tell you that I answer your questions only at my commander’s order. I’m overall second in command and hipparch, or cavalry commander, of the Unified Sacred Band of Stepsons. I manage our prodromoi, our skirmisher light cavalry, as well as our heavy cavalry. I am a committed Sacred Bander, right-side partner of our commander, Tempus, called the Riddler, the Black, the Sleepless One, the Obscure, Favorite of the Storm God. I am also a secular Bandaran adept, initiate of the mystery of Maat. I’ve claimed Enlil when I have needed a tutelary god. These days, the goddess Harmony calls me her own. I’m not a man for words. Describe your appearance in 10 words or less. Tall, but shorter than Tempus. Hazel-eyed. Dark-haired. Fit. Do you have a moral code? If so what is it? The Sacred Band Ethos guides me. I am still learning what the Riddler has to teach. I strive for balance in all things. Stepsons should want neither too much to live nor too much to die. To serve with the Band requires unflinching determination; unwavering devotion – to one another, to honor, to creed. I’m Bandaran at my core: venerating the elder gods, but worshiping only the god within. The Band says, ‘Life to you, and everlasting glory.’ I don’t ask destiny even that much. Only to be useful while I live. Would you kill for those you love? I have. I do. It’s what I am: a fighter. I told you: My mystery is maat, one of seeking balance and equilibrium, truth and justice. On occasion, I become justice incarnate, when justice must be dispensed with a sword. Would you die for those you love? I am a Stepson. So, of course. If you are really asking about my being immortalized by Harmony, I will tell you only that what is between me and the goddess is ours alone, not yours to know. What would you say are your strengths and weaknesses? We are all weak, even those of us, like my commander or myself, who’ve been immortalized by some god or goddess or touched by sorcery. I’m a Bandaran fighter. I have a calling: I take my strength, my mystery, my spirit and my skill out into the World and challenge its evil until it wears me down. Then I return home to Bandara or lately to Lemuria, restore my internal equilibrium, and do the same again. If I must confess a flaw to you – and only the gods know why – it would be that I ask too much, not only from others, but from myself. Do you have any relationships you prize above others? Ah, the women. Everyone asks about how a Sacred Bander can love so many women. It’s a soul that calls me, not the size of breast or buttocks. But yes, I love women as well as men and horses, and the sun that’s new every day, and weather on the wind. Without love, how can a man live fully the life that the gods bequeath? My relationship with my commander is most important: love without limits, wisdom beyond price; leadership is what he teaches, and commitment beyond measure. I know I’m imperfect, still young in his sight, still balancing my rage. More now than ever, since the goddess Harmony touched me, I need his guidance. And there’s Harmony herself. That this goddess favors me, gave me that great horse, is beyond my ken but she’s goddess of the Balance, after all. Above all else come my brothers of the Sacred Band. And Randal, although he’s a mage and a shape-shifter, was once a partner to me and still like a brother. Not every man is alike in mind: our differences define us. Do you like animals? I love the Band’s Tros horses, and the horses we bred up in Free Nisibis, and the black horse the goddess gave me. Love is vulnerability, you must understand: love comes at the risk of grief. I’m careful how much vulnerability I court. Do you have a family? 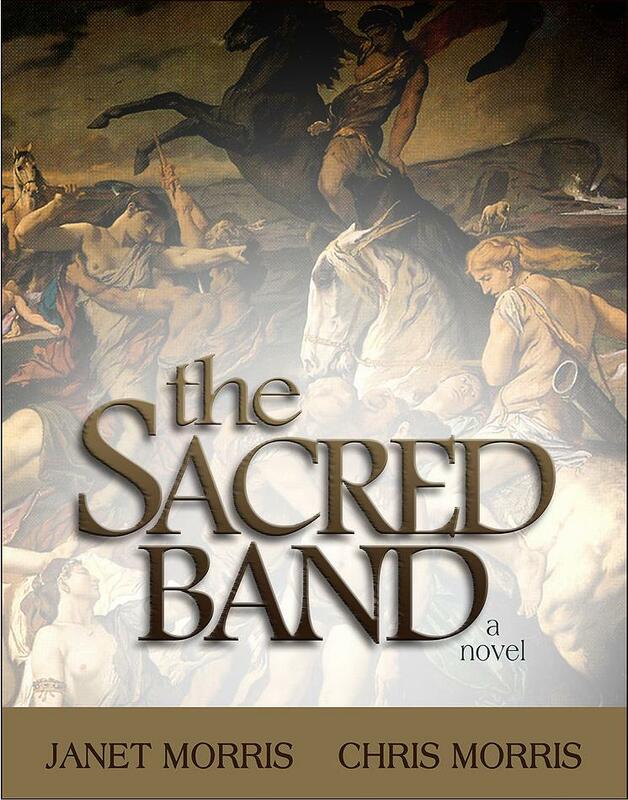 More than one: The Unified Sacred Band of Stepsons; Bashir and the freemen of Nisibis; the adepts of Bandara. Can you remember something from your childhood which influences your behaviour? Too much suffering, too much death. Terror in war. Slavery and sorcery. And then a left-side leader who loved me and made a man of a foolish boy. Do you have any phobias? Witches. Warlocks. Arrogance. Stupidity. Stupidity kills more than all else. Please give us an interesting and unusual fact about yourself. I was courted by the entelechy of dreams who gave me a charmed panoply forged in hell itself. I was stalked by a witch. The Greek goddess Harmonia is my current lover. Pick any one. Please give us a little information about the world in which you live. These days I live with the Band. Lately we’ve been in Thrace. When we’re not campaigning, we billet in Lemuria. There the Riddler’s sister rules with unchallengeable power from behind its sheer seaside walls. From there we fight where the commander and his woman send us, anywhere in space and time – past, future, other realms. Does your world have religion or other spiritual beliefs? So many. What’s between men and gods powers all. We fight in theomachy, too often: Tempus is Favorite of the Storm God, so we fight a lot of wars. Do you travel in the course of your adventures? If so where? Where? Sometimes, a world away. Wherever Cime, the Evening Star of Lemuria, decrees. To places decoupled from time and space, like Bandara or Meridian or the City, or Thrace. We’ve been places others only dream of. We fought in a future so far away that the seas were dead. We fought in a place so primitive ancient beasts walked the earth. Sometimes we slip through gates between dimensions… I’m a simple fighter. Ask Tempus and Cime these questions, not me. We go where he leads, we fight where he puts us. Name and describe a food from your world. Nisibisi blood wine, made with bullock blood. Possets of watered wine with cheese and nuts and barley. Does your world have magic? If so how is it viewed in your world? You jest. We fought a war for more than a decade against sorcery, thought we’d won it, but now fight the mages yet again in other realms. What form of politics is dominant in your world? (Democracy, Theocracy, Meritocracy, Monarchy, Kakistocracy etc.) An intellectual said we are timocrats. What that means, I don’t know. We fight for honor and our commander, not for place or race or national goals. Dominant in our world are fools and kings and reavers and their sorcerous allies, who scheme under any name that will give them greater power. They try to seize control of everything and everyone. Does your world have different races of people? If so do they get on with one another?Races vie for power. People hate anyone different, then deem them soulless, then try to wipe them out. Tempus says that, absent reason, men will fight over eye-color, hue of skin or heavenly affiliation. Name a couple of myths and legends particular to your culture/people. We have no myths, except perhaps the one that says no nation can lose if Tempus and the Band fight on its side. We have truths and realities, sometimes long forgot and often twisted, that fools think are myths, going back to the time of Gilgamesh. What is the technology level for your world? Tempus and his sister have the Lemurian windows, to take you anyplace in space and time. We use repeating crossbows; some forged iron, some poor steel, some bronze, but well forged bronze still bests iron. We have naphtha and poisons, great ships and more, and cloud-conveyance. But what difference? It’s the man, not the weapon, that wins the day. Author notes: Novels(s) in which Nikodemos appears. 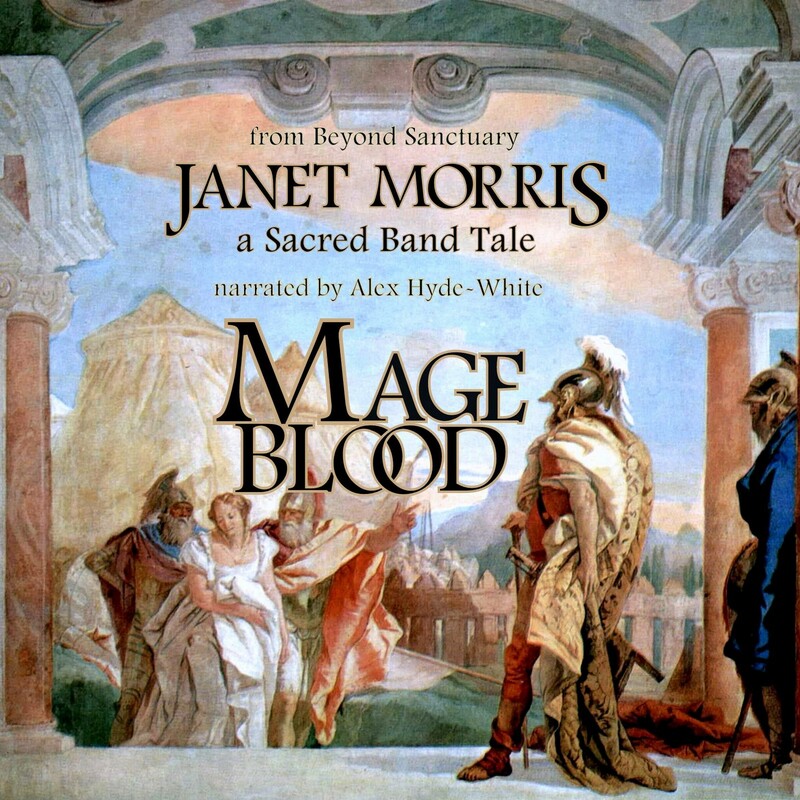 A taste of Beyond Sanctuary in Mage Blood, now a Kindle Single and Audible.com audiobook. Tempus – takes the fight to the Wizards…who will survive? Tempus and his Sacred Band of Stepsons prepare to take the Wizard War to the Mages of Wizardwall in this gripping story set “Beyond Sanctuary.” With Jihan the Froth daughter at his side, Tempus and the core of the Stepsons ride into the embattled town of Tyse, where they find friends and foes among the witches, wizards, and warfighters. From the first full length novel inspired by the Thieves’ World (R) series, “Mage Blood” takes you into unknown realms fraught with unimaginable peril. Hear the Stepsonsspeak in the Audiobook edition of Mageblood, from the Beyond Sanctuary Trilogy. As part of the interviews discussing all parts of reading, writing and enjoying great books today something new. Audio books. Audio books have been around for ages – I have copies on cassette tape (yes remember those?) and one on CD but now most are MP3 and far easier to listen to than having to change the tape every 30 minutes! As the first of these interviews I am very pleased to welcome Chris Morris, author, musician and audio book narrator. Tell us a bit about yourself: I am all about sound. Most of us can hear farther than we can see and have deep sound vocabularies we seldom consciously bring to bear in appreciating more of all that goes on in our lives. My mission is to wake people to the enhanced quality of life available through fully developed hearing. How did you become involved with audio book narration and production? We read aloud as part of our writing process, often repeatedly, until our prose is properly voiced. 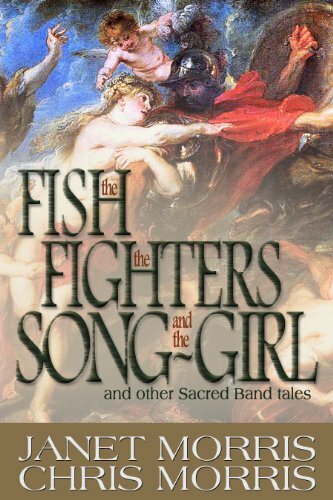 Telling stories, whether in prose or song, is a listening sport. To be able to produce our written works in audio versions completes our audience’s spectrum of storytelling accessibility and for many provides a more profound experience than reading. Plus, I know the sorts of nuance each character brings and can impart something of what they’re like at the nonverbal level. Tell us about some of the titles you’ve narrated. Do you have a favourite amongst these? At some time or other I’ve read our entire catalogue aloud, rehearsing you might say. My favourite is I, the Sun, which is next up in our production queue. Do you have a preferred genre? Do you have a genre you do not produce? Why is this? 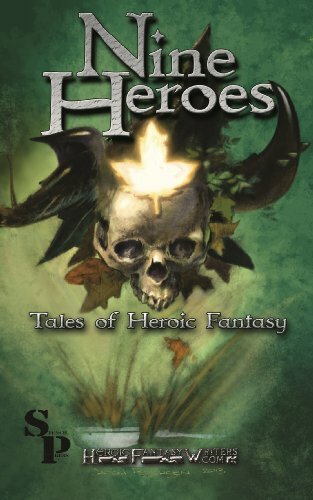 I prefer heroic fiction. I do not/will not read dystopian material because it stifles growth of character, which is our destiny. What are you working on at present/just finished? At the moment I’m reading Roy Mauritsen’s Shards of the Glass Slipper: Queen Cinder. I’m narrating it as I read it for the first time, so it had better be heroic or I won’t read the next one. Tell us about your process for narrating? I read a chapter at a time on my Kindle Fire HD. I review the day’s material and highlight the names of the speakers to avoid mixing them up on the fly. I record in Adobe Audition and, when I misspeak, pause a moment, press the ‘M’ key to leave a marker, then immediately read the passage again and continue; I find it easier to go back later and edit at the marker points than to stop the bus, excise the offending bit, and then punch in to begin again; it’s about flow and rapport and technical interruptions can quickly degrade one’s performance. What aspects do you find most enjoyable? A point comes when I disappear and the story takes over, although I’m emotionally immersive and a section fraught with feeling can throw me off centre enough to leak into the voice and one has to stop and regroup at such a point; I’m steeling myself to deal with some of the death scenes in I, the Sun. So what’s enjoyable is being the voice of moments that transcend considerations of normalcy and possess the scope to portray extraordinary circumstances to the audience. Do you consider royalty share when looking for books to narrate? If not why is this? Yes. Do you listen to audio books? I listen to anything narrated by Derek Jacobi or Jeremy Irons; I also admire Alex Hyde-White’s narrations. With many people owning MP3 players do you think this is the future of storytelling? Yes. But see below..
Why do you think audio books are becoming so popular? Audio storytelling, rather than being something new, is returning to us something very old in our DNA, the wonderment of gathering to hear a voice fill the darkness and elicit our participation in a tale as we imagine what we hear. All the world’s cultures need this very much now. The spoken word is primal in its power to involve us and, properly uttered, humbly magnificent, the grandparent of our better selves. Can you remember the first audio book you owned? Jiminy Cricket (Cliff Edwards) narrating the Adventures of Pinocchio. If you are an author, do you produce your own audiobooks or do you prefer to look for an independent narrator? Why have you made this choice? Before committing to produce our own audio books we signed up on the ACX site and began sampling the narrator talent there, which is considerable. 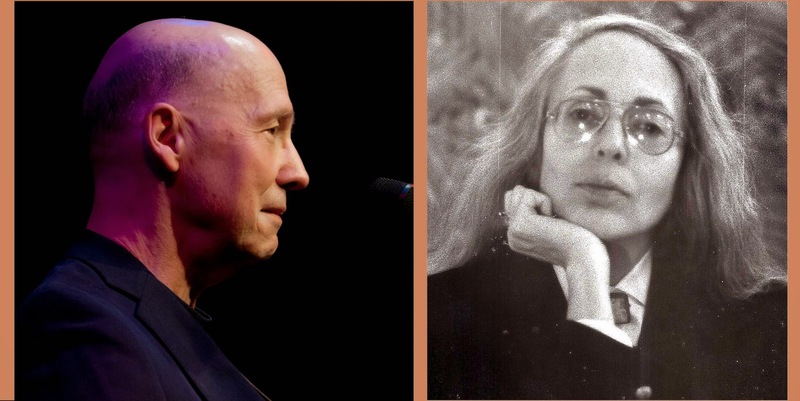 We engaged Alex Hyde-White and David Kudler, both of whom gave us singular performances of shorter works and were supportive when I mentioned I’d like to give narration a go. What I bring to narration is musicality. Good singers proceed from a natural speaking voice to the edges of register, tone, and volume their rendition of a piece requires; narration is similar but with the added consideration that one’s ‘piece’ is a lot longer than the average song and that ‘guest voices’ have to be incorporated into the narrator’s own. Listening to others sing my book pushed me right over the cliff. 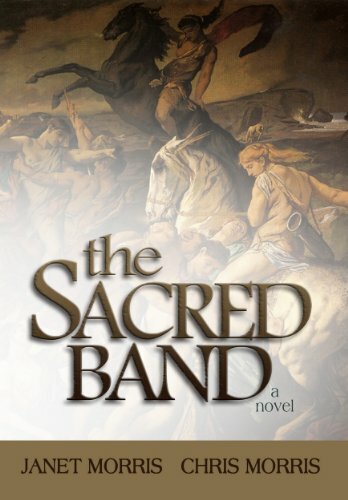 By the time I finished my first run through of The Sacred Band, I had learned to produce an anchor voice – a centre sound – to carry all the exposition and yet have enough scope to inflect humour or suspense and other tensions when called for. We all have this ability and developing it is my lifelong fascination. Has ACX/Audible fulfilled your expectations? (such as earnings, ease of use, workload etc.?) So far so good. What I like most about ACX is the amount of homework they’ve done to address the needs of all the parties to a production. Since the audio book form is newly resurgent there isn’t the lore or fading dominance of crumbling “big houses” of audio book publishing – they’ve simply never existed – and ACX has a band of brothers feel to it at the moment that I like. Hope it lasts. Have you ever had a negative experience producing a book? Not really. You do learn very quickly what your articulation preferences are. Glottal stops are unacceptable. Regional dialectics wear thin rapidly. Vocal caricaturization, if I may coin a term, or cutesy voices drive me straight into the arms of my nearest dog. Please tell us a silly fact about yourself. I always wanted to be lanky. What will you be narrating next? 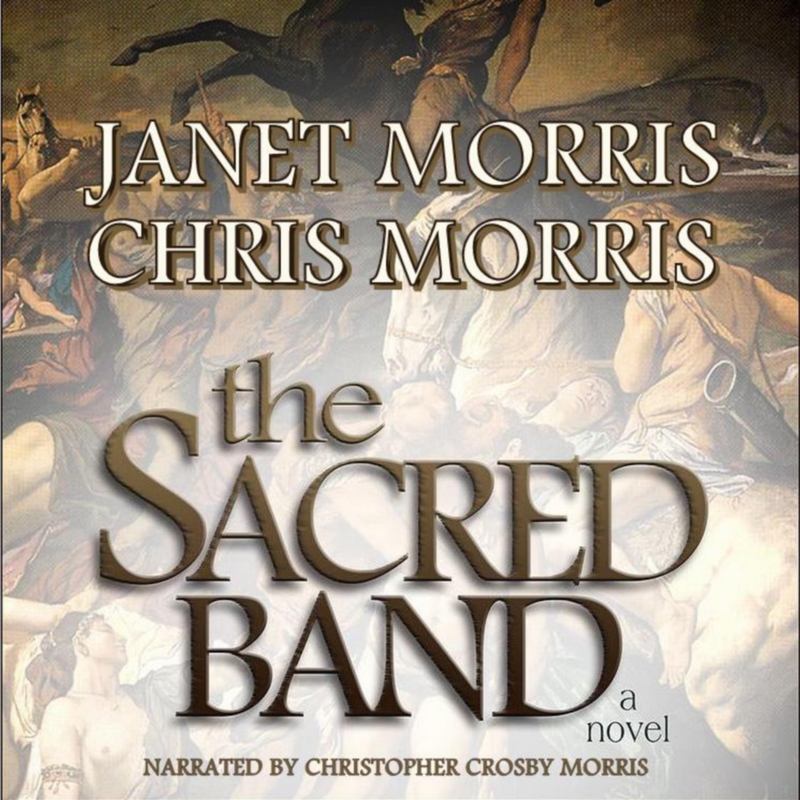 After I finish Roy Mauritsen’s Shards of the Glass Slipper: Queen Cinder, I am scheduled to narrate I, the Sun by Janet Morris, Outpassage by Janet Morris and Chris Morris, and then Beyond Sanctuary by Janet Morris. 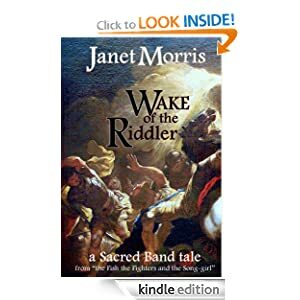 The Author’s Cut of Wake of the Riddler, available both in context as part of “the Fish the Fighters and the Song-girl” — second of the two volume set of Sacred Band Tales — and independently as a Kindle original, has received its first review: a five-star rave from Amazon. Now, since the ghost horse has always been one of our favorite characters, and plays an important part in our novel, “The Sacred Band,” we’re especially glad to see him getting some of the credit he deserves.